This European project is an initiative of POLIS. The EU has established policy goals to achieve a more sustainable transport system. The EPTA project has been designed to study the local institution context, focusing on Public Transport Authorities or Public Transport executives agencies. So, we designed a ‘moving’ logo. 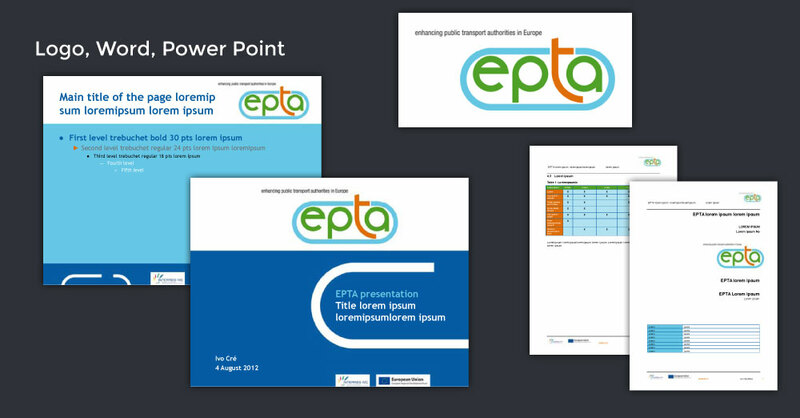 We also created the Word® and PowerPoint® templates.